The French "stuc" and English "stucco" have subtle differences in meaning but it’s easiest to think of Stuc Pierre as a type of stucco that resembles limestone. 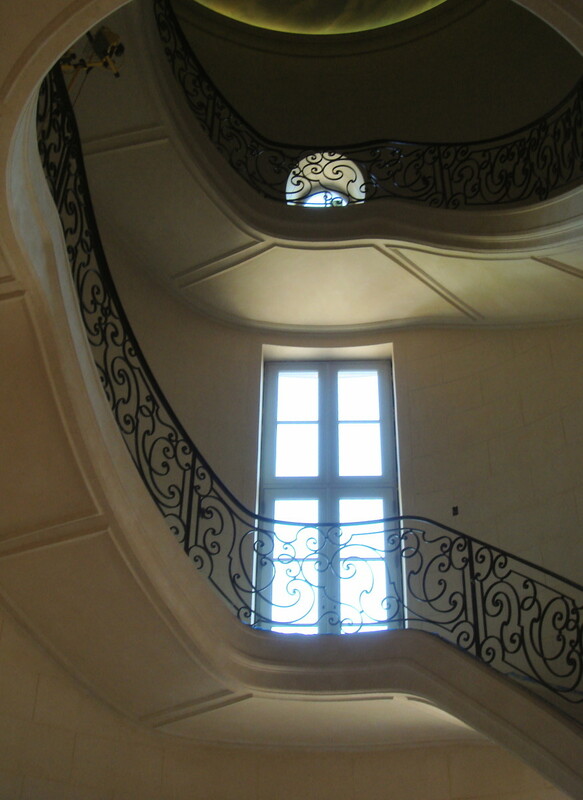 The French tradition of Stuc Pierre literally means “stone stucco” and is a rendered, run or cast plaster technique for emulation of ashlar limestone created from a sophisticated mix of gypsum plaster, hydrated lime, as well as pulverized dust and aggregates of the original limestone to be imitated. Although there are examples of the imitation of stone with stucco among several ancient civilizations, it would be the Greeks and Romans who would perfect the art. The Greeks developed stucco techniques to directly emulate their monumental stone architecture. By contrast, Romans would display a more cavalier interpretation in defiance of Greek norms. Romans manifested a preference for its use in interior ornament and would take advantage of a greater freedom from physical, tectonic constraints that stucco affords to create purely decorative realizations not possible with self-supporting stone masonry. 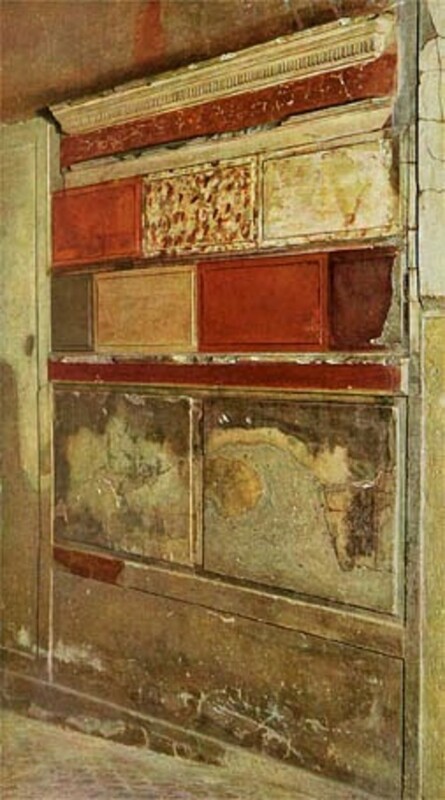 In medieval Europe, the art of Stuc Pierre was to diminish, if not entirely disappear, transcended by the imitation of stone with distemper and limewash paint techniques. 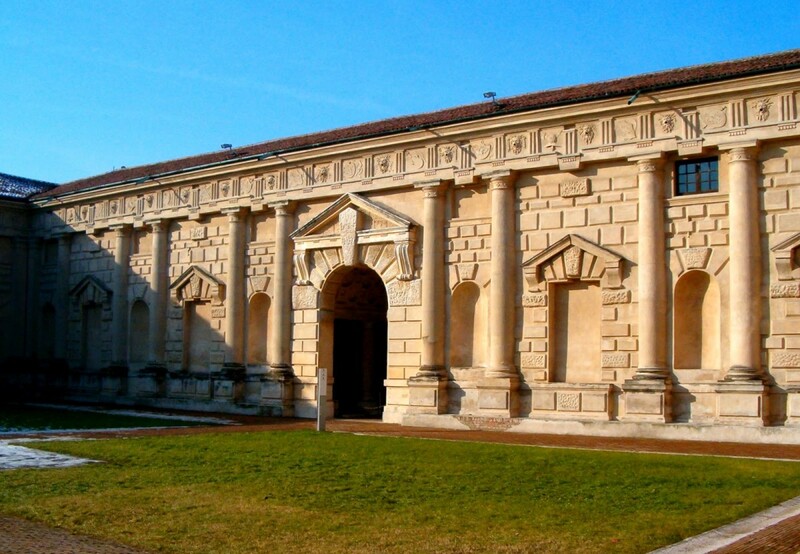 During the Italian Renaissance, a resurgence began of the imitation of stone with lime stucco, a notable example being the 16th-century Palazzo del Te outside Mantua where cornices, columns, pediments and a variety of ornaments were produced in homage of the prestigious Roman travertine palaces of antiquity. Stucco was the ideal material to express the “Mannerist” style, realizing subtle, playful alterations in form that let the perceptive viewer in on the “game,” that they were looking at a stucco, not stone façade. 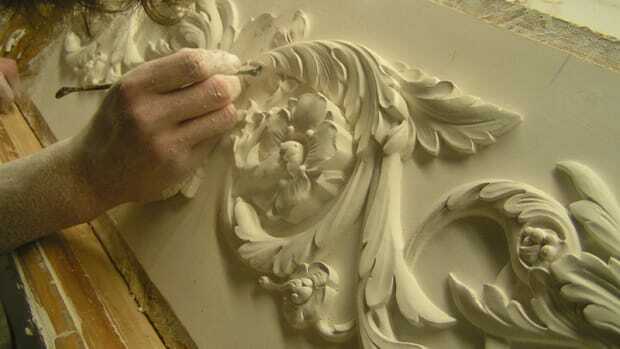 France had been using plaster in imitation of stone since medieval times; however, the tradition matured to widespread application and a high level of sophistication by the 17th and 18th centuries. Stuc Pierre based on gypsum plaster would predominate in the 19th century private and public interiors of Parisians, adorning common areas such as entries, halls and stairwells. 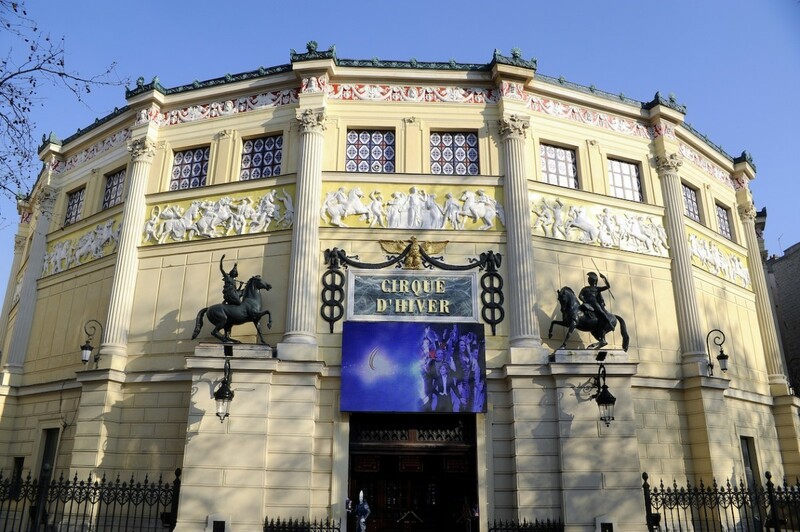 Not only did it create the illusion of classical stone monumental architecture but it also provided a comparable durability that has allowed many original installations to be enjoyed until the present time. Due to widespread availability of gypsum throughout France, Stuc Pierre was in common use in regions diverse as the Normandy coast, Provence, Burgundy, the Pyrénées and Côte d&apos;Azur. Particularly in Paris and the Île-de-France, it is not uncommon to see extant examples of façades rendered entirely in Stuc Pierre or in combination with Stuc Brique, a similar technique where pulverized stone aggregates are replaced with brick powder. Stuc Pierre was traditionally rendered over a brick or masonry support. 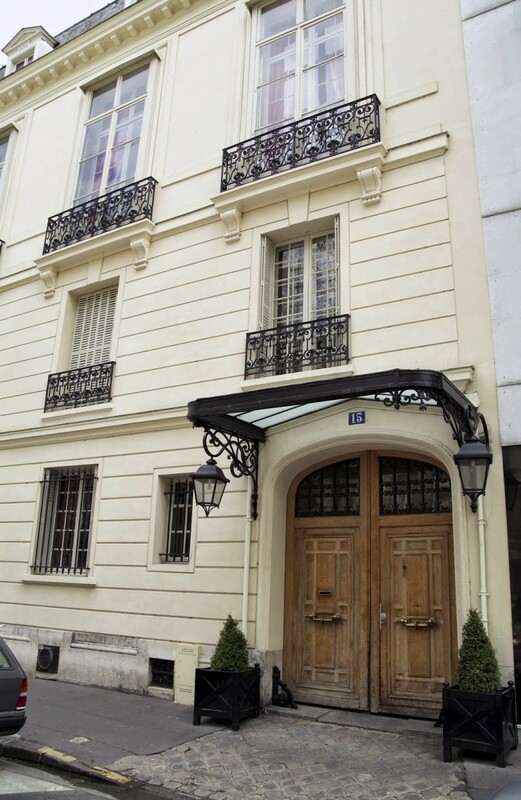 With the advent of iron and steel construction at the beginning of the 20th century, Stuc Pierre would increasingly be used over wooden lath to preserve the appearance of a classical architectural façade. The first step in creating Stuc Pierre is the precise selection of the mix. 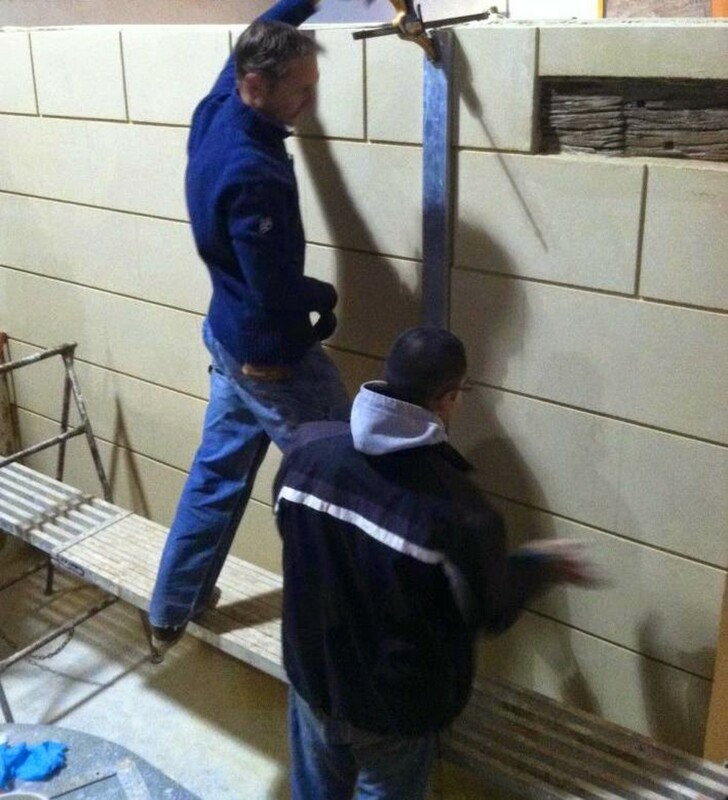 For restoration works, a counter type of the original limestone or mortar is engineered. New construction allows for a greater artistic liberty. Unlike lime or cement, gypsum is a self-binding material. Aggregates such as crushed limestone or gypsum, brick or chalk are not necessary for the performance of the coating but are added for decorative effect or to lower the total embodied energy. Similarly, materials as diverse as wood chips, glass beads, sea shells or linen fibers can be added for artistic expression. As with any rendered coating, the cleanliness and stability of the support are very important. 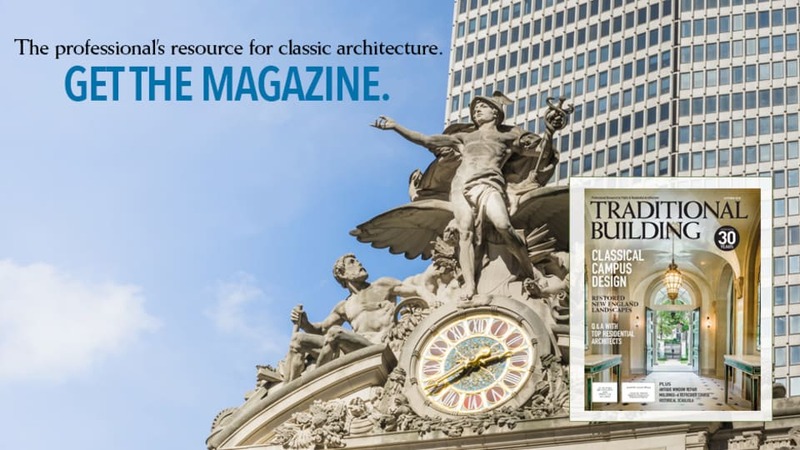 When used on exterior projects, several principles associated with classical architectural design are to be respected. Eaves, entablatures and stringcourses are important features in shedding water from the façade and preventing localized streaming. Horizontal and backsplash surfaces commonly occurring at gables, window and door openings should be properly flashed. 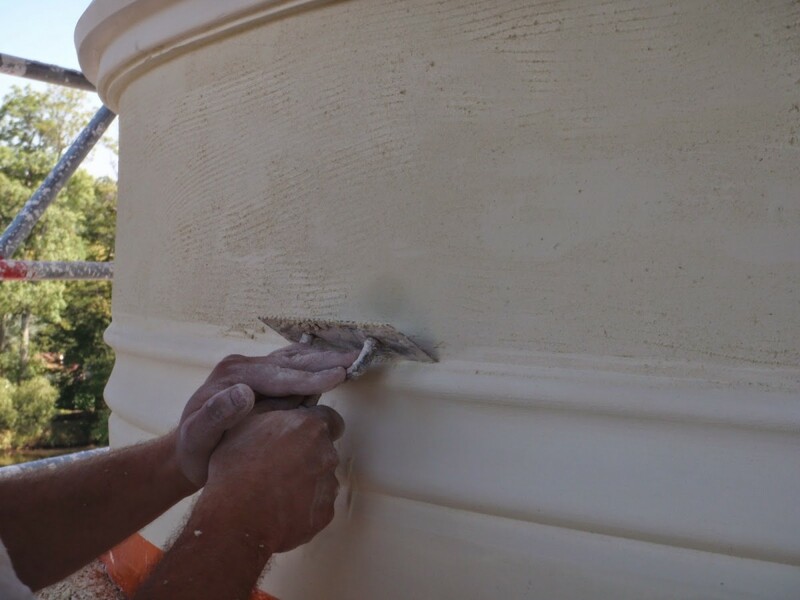 A water table such as a dense, impermeable stone at the foundation prevents water rise due to capillary action. 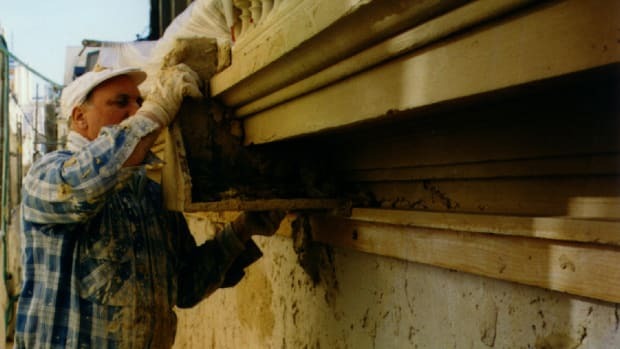 Adherence to a few, simple, well documented precautions results in a beautiful work that endures for generations. Mixing can be done by hand, drill or machine. Exterior applications can be made in single or successive coats for a total minimum thickness of one inch. In interior applications, reduced thicknesses of ½- to ¾-in. are possible over masonry and lath supports or over drywall substrates as a veneer. 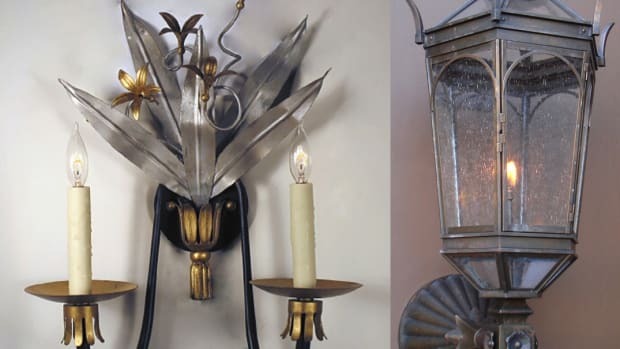 In all cases, traditional stucco and plaster tools can be used, including hawk and trowel, floats, darbies, corner tools etc. Various mix designs are available for render, veneer, run in place, as well as a casting version for mouldings and ornament. The finishing of Stuc Pierre is where the skilled artisan is relied upon to unlock the great artistic potential of the material. A French steel razor or berthelet is traditionally used to shave and level the surface, exposing the beautiful aggregates contained therein. Further treatments such as washing, brushing, burnishing or sanding can be successively used to achieve desired effects. For the cutting of “mortar” joints, a traditional railroad tool or chemin de fer is used. Joints can be left open in an ashlar pattern or refilled with a natural or colored variation to give a convincing mortar effect. Stuc Pierre is increasingly being valued in the sustainability market. In the EU, Stuc Pierre is commonly used in straw bale and hemp lime construction. Gypsum plaster has a relatively low embodied energy of manufacture, produced by heating mined gypsum rock from between 300 and 850 degrees F.
Additions of clay binders, hemp fibers and reclaimed or recycled aggregates can reduce the embodied energy even further. Often, a small percentage of hydrated lime is included in the mix, contributing an alkalinity that naturally inhibits the growth of mould. All of the materials utilized in Stuc Pierre are mineral or renewable, non-toxic and free of VOCs. Furthermore, the porosity of the coating ensures that water does not get trapped behind the coating and contributes towards a breathable assembly that takes full advantage of latent heat transfer and of a reduction in thermal bridging. One of the questions I’m often asked by architects is how does the price compare to real limestone? It’s not difficult to see that there is a justifiable tension between stone masons and plasterers in regard to Stuc Pierre. 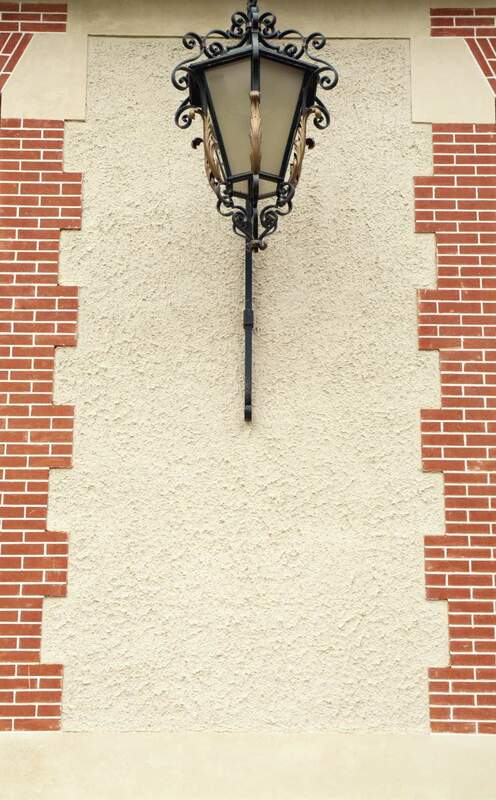 John Ruskin was critical of the French practice, in his essay “The Lamp of Truth,” he stated, “to cover brick with cement, and to divide this cement with joints that it may look like stone, is to tell a falsehood.” He had similar condemnation for cast mouldings and ornament intended to imitate limestone. 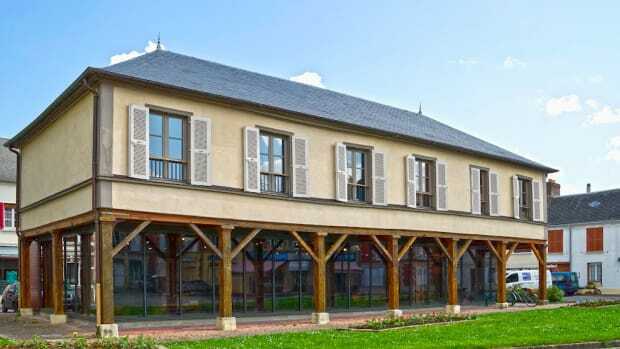 In France, as previously in Italy, the tension was relieved by utilizing Stuc Pierre in a manner that would be tectonically impossible in stone as well as revealing in the manner the joints are made or the finish surface that you’re without question looking at a plaster material. In other words, the tradition properly exercised deliberately tries not to be too convincing, it makes no attempt to deceive or to fool anyone that it is real limestone but finds playful means to celebrate and reveal itself as plaster.